Card sorting is a method used to help design or evaluate the information architecture of a site. 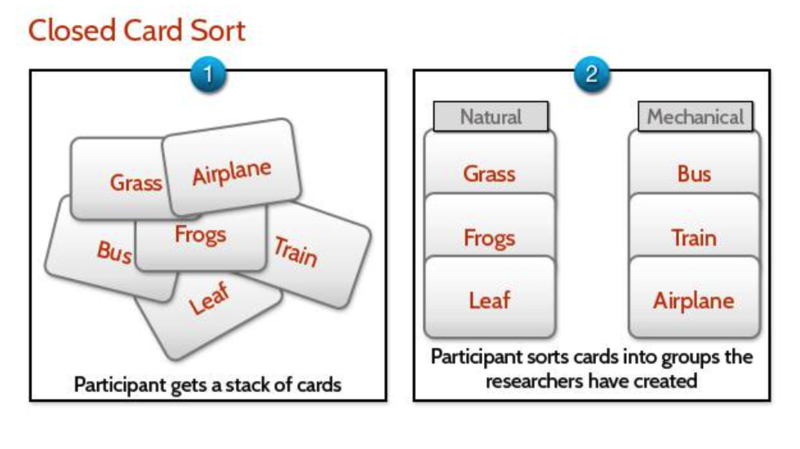 In a card sorting session, participants organize topics into categories that make sense to them and they may also help you label these groups. To conduct a card sort, you can use actual cards, pieces of paper, or one of several online card-sorting software tools. Card sorting is a very simple and well-tested technique. You can use it in UX research, Information Architecture Design, etc. card sorting helps us gain valuable insight into the structure of data. That, in turn, helps us better structure our products and websites. 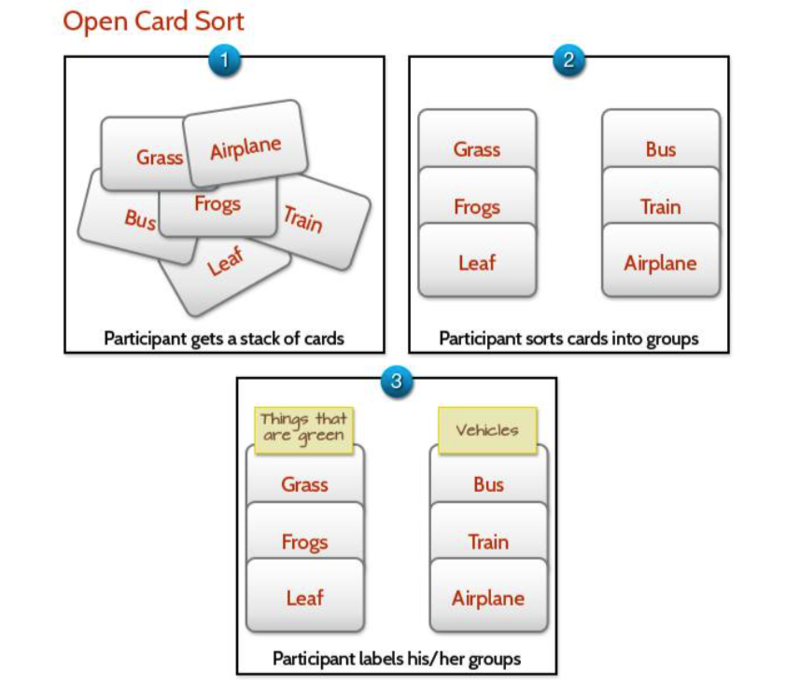 OPEN CARD SORTING – this is where people are given a deck of cards with no pre-established groups and are asked to sort them in any way they see fit and then once they have sorted them – they are asked to explain why they chose the groups they chose. This is really handy for initial data sorting exercises where no existing structure exists in the product or where you are trying to replace an infrastructure, which isn’t fit for purpose. CLOSED CARD SORTING- Participants are asked to sort topics from content within your website into pre-defined categories. A closed card sort works best when you are working with a pre-defined set of categories, and you want to learn how users to sort content items into each category. A card sort is a User-Centered Design method for increasing a system’s findability. HOW TO CONDUCT CARD SORTING? Create your list of content topics. Topics can be phrases or words, very specific or more general. As a suggestion, limit yourself to 50-60 topics or less. For a new site, list the content topics of types of information that you are likely to have on the site. For an existing site, list the most important/popular types of content. Decide whether you will be doing a physical card sort or using the online card-sorting software. If you are using online card-sorting software, consult the software instructions. If you will be conducting a card sort using physical cards, write each topic on a separate index card. Use self-adhesive labels and a word processor. The cards will be neat, legible, and consistent. You’ll have the list of topics in the computer for later analysis. Number the cards in the bottom corner or on the back. This helps you when you begin to analyze the cards. Have blank cards available for participants to add topics and to name the groups they make when they sort the cards. Consider using a different colored card for having participants name the groups. Plan about one hour for each session, longer if you have many cards. For paper card sorts, ensure the participant has enough room to spread the cards out on a table or tack/tape them up on a wall. A conference room works well. For online card-sorts, ensure there is a computer with an Internet connection available as well as room for both the participant(s) and facilitator to sit comfortably. Plan to have the facilitator or another usability team member take notes as the participant works and thinks aloud. Arrange for payment or other incentives to thank the participant for spending the time and effort helping you. Show the participant the set of cards. Explain that you are asking for help to find what categories of information should be on the site’s homepage and what those categories should be called according to which sort you are going for either open or closed. 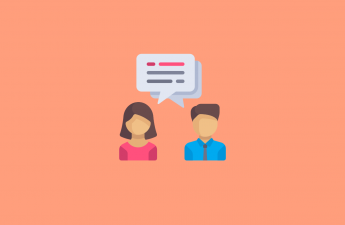 Ask the participant to talk out loud while working. You want to understand the participant’s thoughts, rationale, and frustrations. Let the participant work. Minimize interruptions. If, in the end, the participant has too many groups for the homepage, ask if some of the groups could be combined. In the end, thank the participant and give the payment or another gift if promised. Prepare your data for analysis. If you used online card-sorting software, consult the software instructions. The software will analyze participant data in a variety of ways. If you used physical cards for the test, either photograph the sort or use the numbers on the cards to quickly record what the participant did. Photograph or write down the names the participant gave to each grouping and the numbers of the cards the participant included under that name. Then you can reshuffle the cards for the next session. Create a computer file for each session to gather a complete picture of the detailed site map each user creates. Work from your original list of topics and move topics around to recreate each participant’s groupings and enter that participant’s name for the groupings. 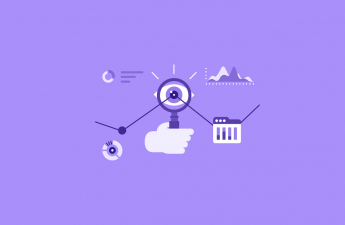 Analyze qualitative information based on user comments. For a less detailed analysis of the results, use your notes and recordings of the participants’ names and card numbers under each person’s name to find commonalities from different sessions. For a more detailed analysis, consider using an Excel spreadsheet to show the relationship between the cards or use one of the available software programs to analyze your data. Pull together your findings in a report to share with your team and stakeholders. After you analyze the data from card sorting, you should have useful information for structuring the information architecture of the site. 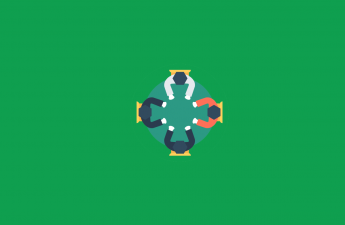 You should use the results of your card sort to help you define the navigation of your site.